I’ve Been Injured On The Job, Can I Sue My Employer? Accidents in the workplace happen every day. By law, companies in Florida have to carry workers compensation to cover most of your expenses. However, while your medical bills may be covered, your income will only be at around 66%. This is just a bit more than half of your income. For one or two weeks this may not be an issue, but what if it takes months to get back to work or you cannot go back to work at all? 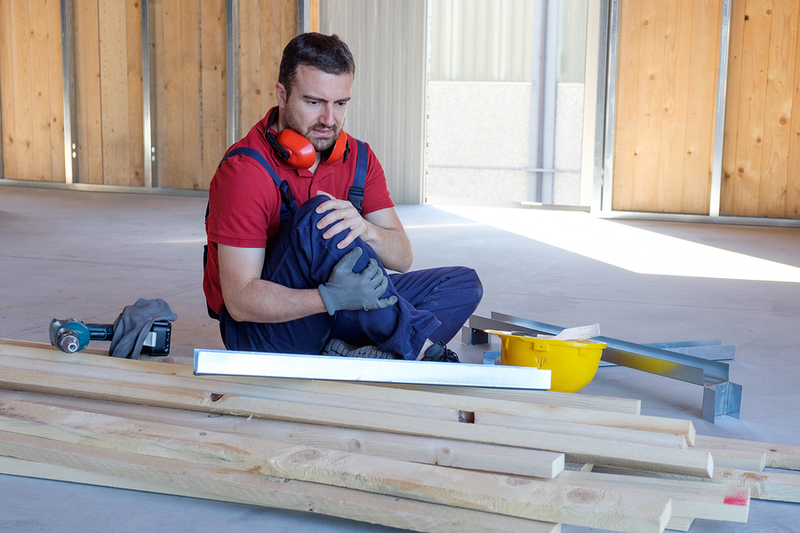 In general, most workplace injuries will be part of worker’s compensation. However, it does not provide damages to punish an employer for poor or dangerous work conditions. ●	If your work injury was caused by a toxic substance, you can bring a lawsuit against the substance manufacturer. ●	If you were injured because of your employers conduct, you can file for personal injury. ●	If your workplace does not carry Workman’s compensation. ●	If a third party caused your injury, you can bring a personal injury lawsuit against that person. In these situations, you can sue outside of workers compensation. It’s always a good idea to speak to an attorney after a workplace accident. First of all, your employer’s insurance company will work to pay you as little as possible for your injuries. They will use a team of adjusters, investigators, and their own attorneys to undermine your claims. Secondly, if you are seriously injured, dealing with a workers’ compensation claim is very challenging. There is a lot of paperwork and a complex legal framework you have to navigate. This is extremely challenging when you’ve been injured. An attorney will take care of everything, leaving you to focus on healing and getting your life back in order. Finally, if your accident was the result of negligence, a good attorney will find it and help you sue for damages. What Happens When I Sue For Damages? After you’ve hired an attorney, they will take care of everything. If your workplace injuries were the result of another party’s negligence, there are several things your attorney will do. First, they will find evidence that proves the injuries were the result of another party’s negligence. Secondly, they will prove the severity of your injuries and the real cost to your life including all your financial costs, the damage to your career, and the real value of the intangible things you’ve lost like the ability to enjoy your normal hobbies. Then they will negotiate a fair monetary amount for all of these damages and protect you when the insurance companies to try undercut you. Accidents happen at work. However, sometimes those accidents are the result of another person’ negligence. That is why it is critical that you always at least consult with an attorney that not only specializes in workers’ compensation, but can dig deeper into your case. At All Injuries Law Firm, our attorneys have 30 years of experience doing just that. We will thoroughly investigate your case, find the true cause of your action, and take the steps necessary to help you rebuild your life. Give us a call at 941-625-HURT or fill out our online form for a free case review to see how we can help you!